Interested in seeing what the FOOD ROOF Farm is all about? We're always up to something new and offer plenty of ways to experience the farm's many facets. Every Saturday (May 11 - Oct 31) we host drop-in community days from 9a-12p at the FOOD ROOF Farm. 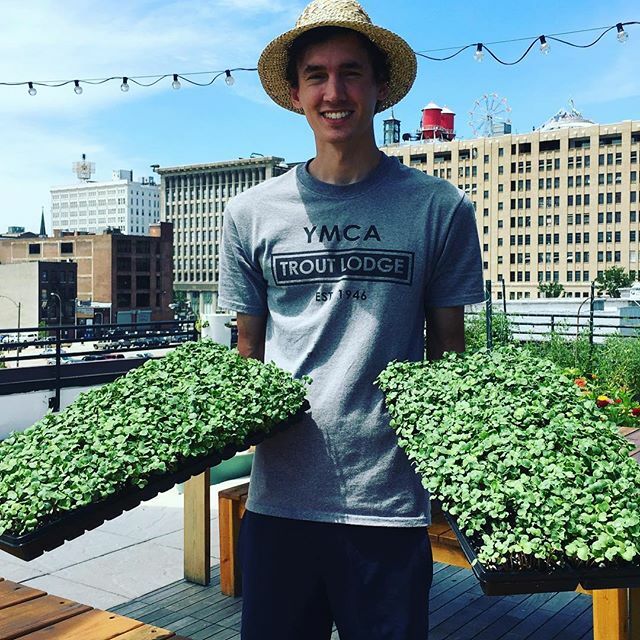 Come volunteer and get your hands dirty or simply take in the city views while enjoying our rooftop gem in downtown St Louis. Drop in at your convenience during this time. If you're interested in learning more about the history of the organization and the farm, the design and architecture of this unique space, and the inner farm workings, we offer in-depth group tours and youth fields trips. Experience the FOOD ROOF's lush, green community space through our events and workshops where our St Louis community comes together to promote local food and urban agriculture skill-building!